Actor Michael Emerson, who plays the morally-challenged Benjamin Linus on Lost, tells Fancast that he was very happy to hear that the series finale of the ABC TV show has been expanded to two-and-a-half hours. Though we haven’t seen Ben on the island in a couple weeks, you know he’ll be back very soon. In fact, word is that he’ll soon find himself involved in an unexpected romance. It’s unknown if this will take place on the island or in the “sideways” world. It also remains to be seen if Ben will survive to the very end. For now, he’s one of the few main characters that are alive in both timelines. What do you think? Are you glad that the finale has been “super-sized?” Do you think Ben will make it to the end? Does he deserve to? Lost: Could There Be a Movie After the Series Finale? Wether its a 20 pound bag of crap or a 25 pound bag of crap………. It’s still a bag of crap. To be honest I wish this particular finale had been a lot shorter……..
OMG! theory: what if the unexpected romance is with Danielle Rousseau, its the only person i can think of that would make sense and be unexpected at the same time! especially if its unexpected it must be someone we know already so a new character woulldnt be very unexpected. Very interesting theory! I was thinking Juliet (since he was in love with her in the “original” timeline), but Rousseau would be a much better choice. That’s a pretty good theory and they have the shared connection of Alex too! If it is Rousseau, I think it will be really sweet. I wonder what she looks like out of the jungle and living as an everyday person! If indeed the island needs a new Jacob and new MIB I can think of no better candidates than Ben and Flocke. Ben has always loved the island and done everything he’s done in the name of protecting it. It would be nice to see him make it to the end. Ooooooooooooo! An ‘unexpected romance’. I doubt it will be on-island, the only two girls left are Kate and Claire (I’m not even couting Zoe) so I think it will definitely be the adorable teacher!Ben who gets some loving! Rightly so! He better survive! I don’t know if the actual character deserves to, but along with Terry O’quinn Michael Emerson is one of the best actors on the show. I’d like to see a complete Ben character turnaround save the day. 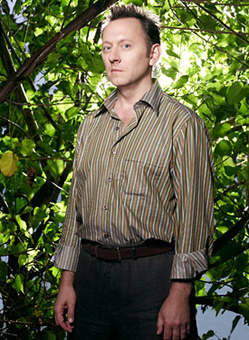 Being my favourite character on the show, I hope that Ben Linus will make it to the end. Does his character deserve to? Yes and no. He may have caused a lot of strife (kidnapping, inadvertently causing the death of his “daughter”, killing Jacob… etc), but he has also dedicated his life to protecting the island – a thankless job – and it would be sweet to see him compensated for his years of dedication.